Kirby: A righteous rifle? A pious pistol? If churches bless our weapons, do they really become Godly guns? 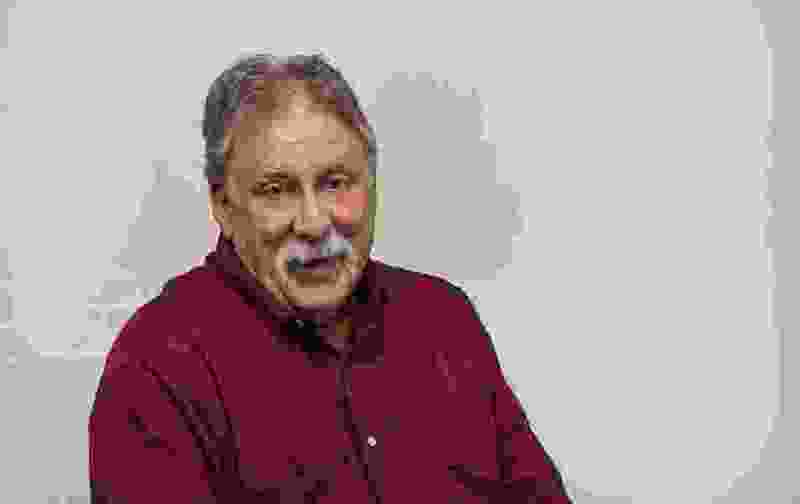 Francisco Kjolseth | The Salt Lake Tribune Robert Kirby. Today is the first Sunday of the month. In the Mormon world, it’s fast Sunday, the day we fast and give the money we would have spent on food to the ward for distribution among those who need help. Here’s the catch: Fast Sunday is also the day that we bless the latest additions to our wards, those who come in the form of babies. Depending on a ward’s demographics, baby blessings can take all of a minute or up to half an hour. I was once in a ward near Brigham Young University where the maternity rate was such that the baby being blessed was also given the priesthood so he could help bless the next baby in line. Other than the sacrament, babies are about the only thing Mormons bless in open meetings. I’ve been to churches where not only do they bless babies, but also adults, the sick, even dogs and cats. Strange as some of that might seem, I wonder what my bishop would say if I asked permission for me and four other “semi-worthy” priesthood holders to bless a “Browning Machine Gun, Caliber .50, M2, HB, Flexible,” or “Ma Deuce,” for short? I know what you’re thinking. Do I have a .50-caliber machine gun? The answer is: not yet. But I know where to get one. The only thing stopping me is that I couldn’t afford to shoot it more than once year. Belted .50-caliber ammo — when you can find it — is horrendously expensive. Also, my wife — who doesn’t go to the LDS ward — says “no.” I tried to explain that blessing automatic weapons in church is an interdenominational concept, one that could well pull together the various faiths. Instead of arguing, I showed her a news story as proof of my position. Agreeing on the sanctity of rates of fire could be the key to religious unification. A hint of this occurred at a Pennsylvania church, which recently held a blessing ceremony for AR-15 assault rifles. Last Wednesday, parishioners showed up at the World Peace and Unification Sanctuary in Newfoundland, Pa. (population 2,050), to have their marriages and assault rifles blessed. The World Peace and Unification Sanctuary is pro-gun and believes the AR-15 is the biblical Rod of Iron spoken of in the Book of Revelation. Many of them came to church with their rifles and wearing polished brass crowns of cartridges on their heads. I’m not saying this is strange. Hell, the Islamic State group probably has a similar ceremony over rocket-propelled grenades and beheading knives. How is that different? They merely want to be able to defend themselves against potential oppressors as well. In Newfoundland, the nonbelievers in World Peace and Unification Through Firearms Superiority say the whole assault rifle blessing is both scary and inappropriate. No, I didn’t tell Flo I was Mormon. It may have altered her quote. Not only are Mormons told not to bring guns to our meetinghouses, but LDS Church President Russell M. Nelson told a group of young Mormons last month that laws regarding private possession of firearms are too lax. But what if they’re blessed guns? Surely that would make a difference. Right?